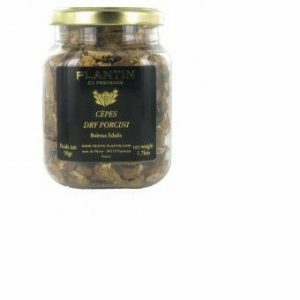 A ready to use morel mushroom sauce of exceedingly high quality. 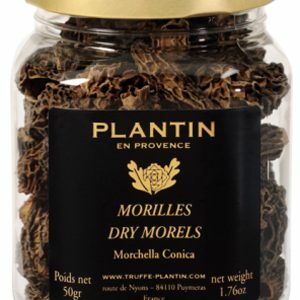 The flavour of morels shines through but the overall taste is very balanced. A natural to pour over meat and works especially well on chicken breasts. Storage: Store in a cool dry cupboard. Once open store in a fridge and consume within 3 days. 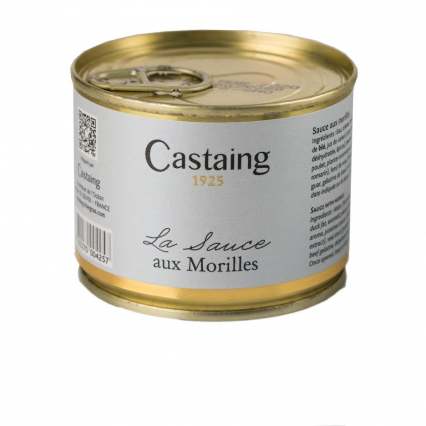 Water, fresh cream, morel mushrooms, white wine (contains sulfites), starch, wheat flour, duck stock (glucose syrup. aroma, salt, duck fat, aromatic plants, dehydrated tomato, sugar, duck meat, spices), butter, Madeira wine, butter, salt, duck fat, white chicken stock (salt, natural flavouring, potato starch, chicken fat, herbs, maltodextrine, glucose syrup, spices, dried chicken, rosemary extract), veal stock (potato starch, aroma, salt, aromatic plants, sugar, dehydrated tomato, thickener: guar gum, beef gelatine, dehydrated veal meat, caramel), pepper. Simply requires warming in a saucepan and then pour over meat of your choice.